Text TRAVEL76 to 95577 for more info or click here for full details! A volcano in North Myrtle Beach? Our fifty foot active volcano erupts with fire and steamy fun every thirty minutes. 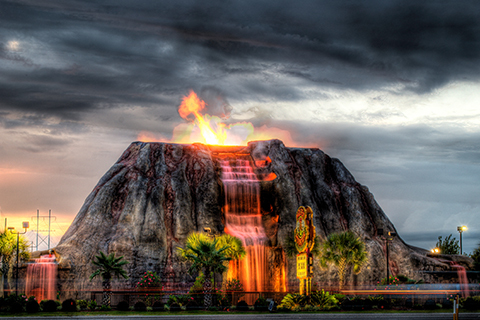 Molten Mountain Mini Golf course has been home to the only active volcano along the Grand Strand since 2006! Join us for some thrilling mini golf as our course is sure to set your golf game on fire! Enjoy one free adult round of mini golf per unit, per paid night stay, no reservation required. Noncumulative and nontransferable. Unused admissions expire daily. Ripley’s Aquarium is South Carolina’s most visited attraction! Enjoy an 87,000-square foot attraction featuring thousands of marine animals. Come face-to-face with one of the largest collections of giant sharks on the East Coast as you ride along a 330-ft underwater moving glidepath. Get up close to exotic and colorful fish, enjoy fun and interactive displays, and learn more about our marine life during your visit! 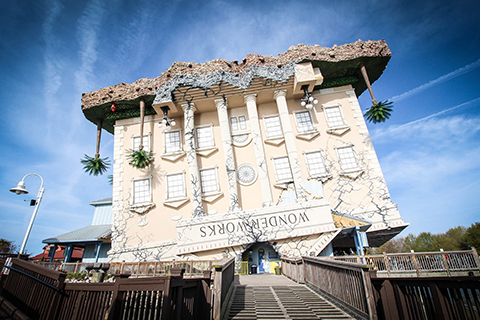 WonderWorks is fun for all ages! 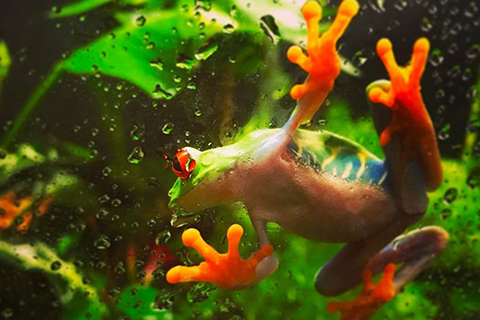 With more than one hundred interactive exhibits, guests can enjoy a one-of-a-kind experience. As they enter the building, everything will be upside-down. So, in order to participate in the fun, they must be inverted by stepping inside the inversion tunnel and turned right side up to begin their journey. Our Indoor Ropes Course stands thirty six feet tall with three stories of ropes and over twenty different obstacles and activities including swinging steps, lily pads, a tremor bridge and more. Everyone needs a little thrill! Race to victory on our go kart tracks, become a legend on one of our mini golf courses, or bump into your friends on the bumper cars. 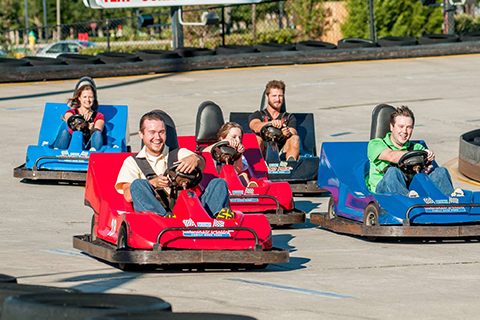 Broadway Grand Prix offers all the greatest Myrtle Beach attractions and games so there’s plenty of fun for all ages. Enjoy one free adult All You Can Ride Wristband per unit, per paid night stay, with reservations made in advance. Reservation required. Noncumulative and nontransferable. Unused admissions expire daily. Cruise through the Inland Waterways of the Carolina’s out to the Atlantic Ocean and watch the shrimp boat fleet work their nets. Observe as the dolphins, sharks and other marine life feed behind the shrimp boats, making for a unique way to view these sea creatures in their natural habitat. 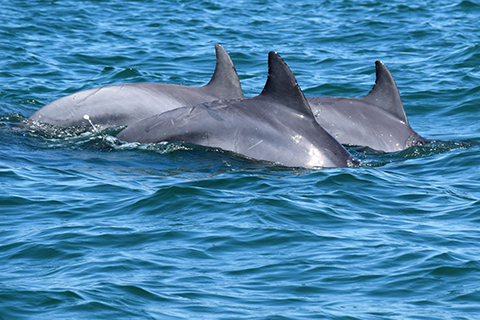 Enjoy one free adult admission for the Dolphin Adventure Cruise per unit, per paid night stay, with reservations made in advance. Reservation required. Noncumulative and nontransferable. Unused admissions expire daily. Get ready to ride the waves! 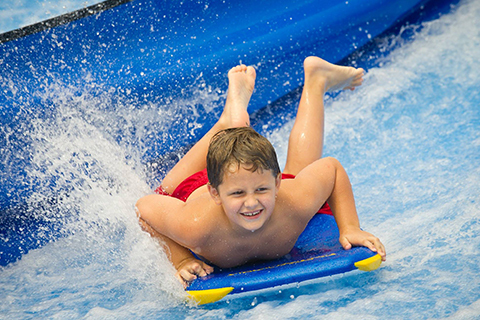 Myrtle Waves is South Carolina’s largest water park located in Myrtle Beach, SC. We have slides and attractions for all ages, and over one million gallons of water! Come cool off with us and spend the day having some splashing fun!